Mercure Hotel Dortmund City. Book online now! Free WIFI! In a central but peaceful location in the heart of the Westphalian metropolis, just a few yards from the pedestrian zone and the Thier Gallery. The Westfalenhallen and stadium are a few stops away on the U-Bahn. 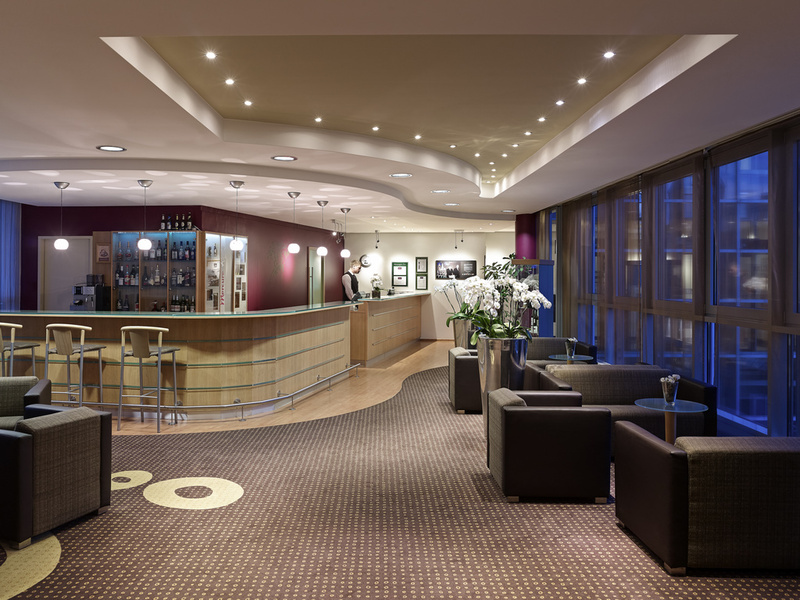 All 82 rooms at the 3-star Mercure Hotel Dortmund City are air-conditioned and have free WIFI. Arrival: The hotel is only 328 yards from the main train station, 9.3 miles from Dortmund Airport and 40.4 miles from Düsseldorf Airport. By car, you can reach us via the A1, A2, A40 and A45 highways. In recent years, Dortmund has undergone sustainable regeneration: Once known for the blast furnaces of its steelworks and winding towers of its mines, today this Westphalian city is a service center and represents successful structural change. Sleep well in the heart of this Westphalian city: At the 4-star Mercure Hotel Dortmund City you can choose between Standard Rooms with single or double bed, spacious Superior Room with two single beds, and Privilege Rooms with double beds. All 82 rooms are air-conditioned and have free WIFI and a DSL connection. One child up to 12 may stay in your room free of charge. Your pet is also welcome for a fee of EUR 15 a night. Nice hotel in a great location for the city centre and train station, however try not to get a room facing the back as there is a rather noisy bar and if you are there for work like i was getting up at 6am when the bar is going until 2am is not fun. Also why are there no power sockets near the bed? Normally, I always get a room on the 4th or 5th floor on the right side of the hallway (rooms 412-416 or 512-516). These don't have the sun in the afternoon and have quiet location. This time, I stayed in room 422 which is on the left side of the hallway. The airco didn't work that well which made it hard to make the room a little bit cooler. There was also a lot of noise coming into the room because of a group of youngster hanging around on the place/area between the buildings. Again, no criticism related to the service. Just the room location was not optimal. My preference is to have a room on the other side of the hall. Thanks. The hotel which is above a strange empty shopping mall, is pleasant enough with good sized rooms, i was at the back and there was some noise from a local bar, but it was a saturday night. Overall its a good location for the city centre and the many restaurants & bars, plus great access to the Hauptbahnhoff. Ideally placed hotel in city centre with access to ubahn outside front door. Comfortable rooms with coffee and kettle provided. Decent breakfast. Only the main door of the hotel is difficult to found. The receptioniste she was perfect and very nice. I have nothing more to tell but they wanted 200 signs. the hotel didn't have any restaurant and i didn't take any breakfeast. It's a nice hotel. Very centrally located. Good for business. Would have given a 9 if the shoe polish machines had wax in them. I tried both machines in the hotel and neither had wax. Very nice hotel with comfortable and quiet rooms.Great location for the city centre, i was there on business at the football stadium and an easy 10 min cab ride.Plenty of restaurants close by and a 2 min walk to the train station.Only downside is the building below is empty and bit of a building site. As usual, good service, friendly staff and a good room. The rooms were quiet, clean and well furnished with comfortable beds. Very friendly and helpful staff. When one of my party left something in the hotel room, they were extremely helpful and posted it back to him in a couple of days. Nice located in the center of Dortmund and I could go to my business dates easily by public transport, the room was clean, only for taking a shower it was uncomfortable to step into the bathtube. Hotel itself is average: not bad, not a very nice one, but everything is clean, ok. The breakfast is also average more vegetable would be good. The staff is really fine. Clean, nicely maintained room with comfortable surroundings. Staff pleasant and very hospitable. Breakfast menu brilliant and tasty. All round lovely stay. Lovely hotel. Lovely helpful staff. I have no complaints with my stay. Staff was very helpful.And polite. The hotel is very convenient to the main railway station and when the renovations to the building in which the hotel is located, will be very pleasant. The room was OK and the INternet connection fine. Staff very helpful.